Play as Aang, Katara, Haru and Sokka as you grow your team into an unstoppable force. Bring to life an adventure of intrigue, deception and revelation that exposes an even greater threat than the Fire Nation. • Fully customizable and upgradeable bending powers! • Journey through all the great nations of the Avatar world! • Original story with never before seen enemies and creatures! 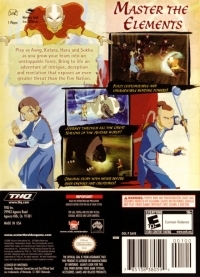 01-28-2019 silverbow Box Text Master the Elements Play as Aang, Katara, Haru and Sokka as you grow your team into an unstoppable force. Bring to life an adventure of intrigue, deception and revelation that exposes an even greater threat than the Fire Nation. • Fully customizable and upgradeable bending powers! • Journey through all the great nations of the Avatar world! • Original story with never before seen enemies and creatures! 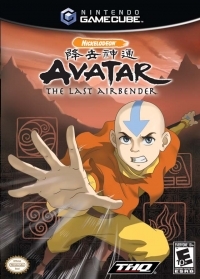 This is a list of VGCollect users who have Avatar: The Last Airbender in their Collection. This is a list of VGCollect users who have Avatar: The Last Airbender in their Sell List. This is a list of VGCollect users who have Avatar: The Last Airbender in their Wish List.